I would use a medium grey color thread, it won't fight with the colors and will show nicely in the white. I agree with fromcarolinahome, medium grey thread would look nice. Nice color choice, sure the quilter will love it. Love the brightness of the quilt top, you could always just stitch in the ditch around the colors and then quilt the rest. Beautiful quilt! That would be a hard one to part with. To quilt it, I might use a pale yellow. It won't blend, but it will show up equally on the white and the colors. Also, I'd use a "loose" quilting design, not a "heavy" one. What ever you do, it will be gorgeous! Very pretty top. I feel your pain about quilting for another quilter. 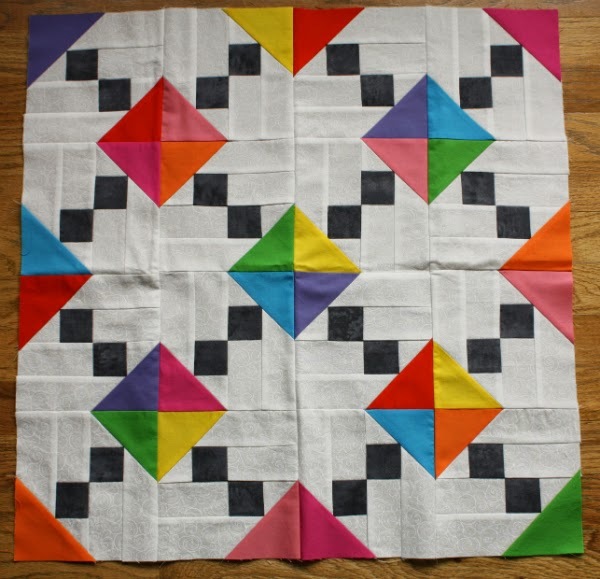 I'm making a wedding quilt for a couple where the guy makes quilts and I've been stressed about bringing my A game. :P I'm sure he'll love it and your partner will love your mini! Nice work. 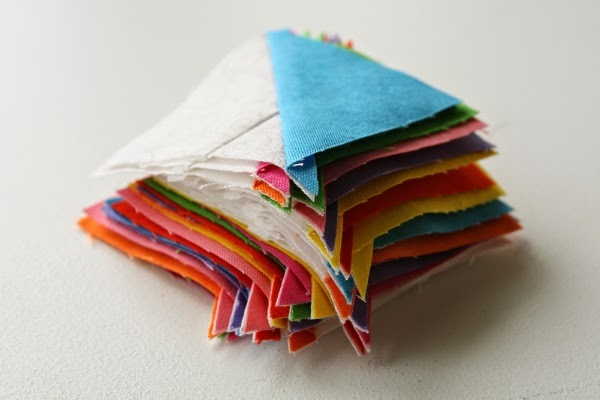 Such pretty colors together make for a cute little quilt! I just did a mini quilt and I quilted concentric circles. Oh, I adore this mini! Gotta love those solids. You chose a fabulous design. How about some honeycomb quilting? 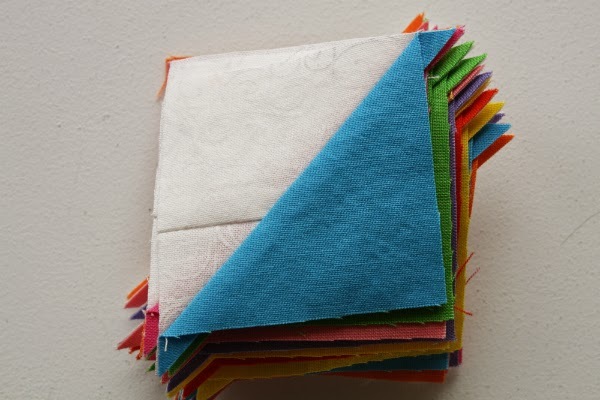 I made two projects recently and used this method on the second one here... http://sewfreshquilts.blogspot.ca/2014/05/im-little-bit-county-and-im-little-bit.html It's a great method to use as an all over quilting motif and sew easy! This is fabulous - reminds me of a television test pattern for some reason. Hope your swap partner loves it. super cute Leanne! I like the pops of black with all of that color! I really, really like that – it catches my eye and makes me smile!